Every dog is different. 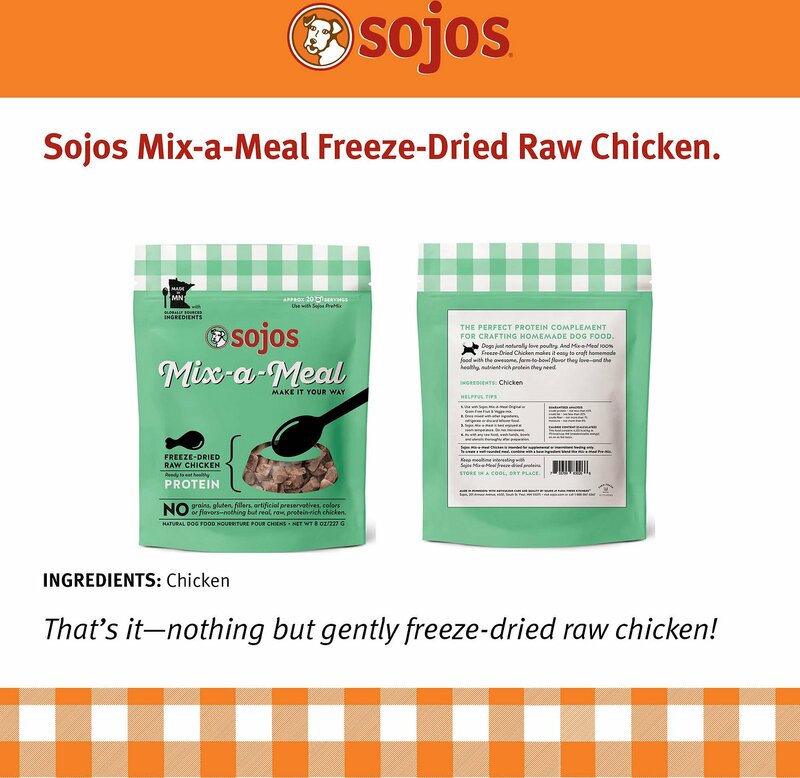 That's why Sojos created their Mix-A-Meal Chicken Grain-Free Freeze-Dried Raw Dog Food Topper. You can create your canine's ideal meal without doing everything from scratch! Just add this protein-rich, raw meat to your favorite pre-mix and let the fun begin. 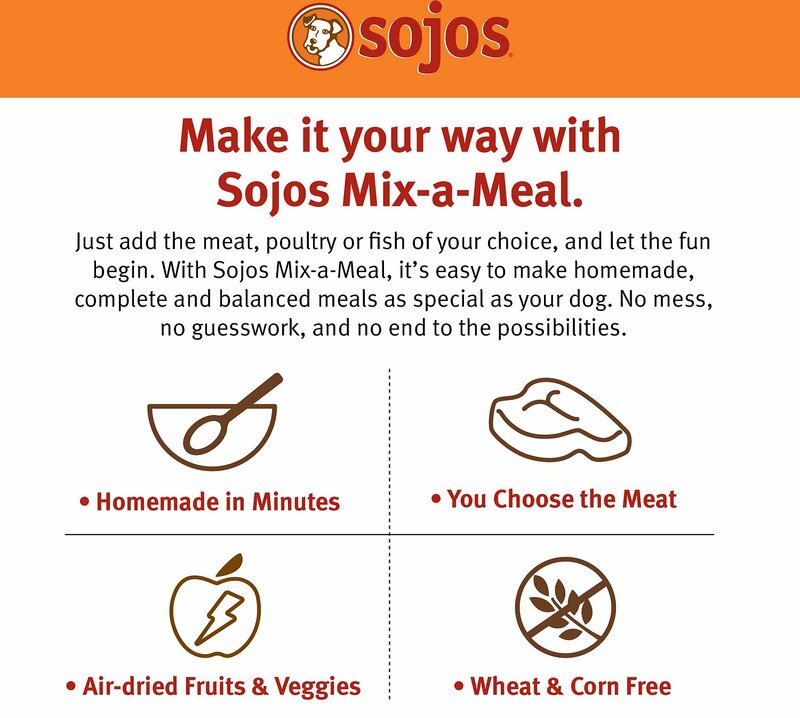 With this mix-a-meal, it’s easy to make homemade dinners as unique as your dog. Thanks to Sojos, there's no mess, no guesswork and no end to the possibilities. 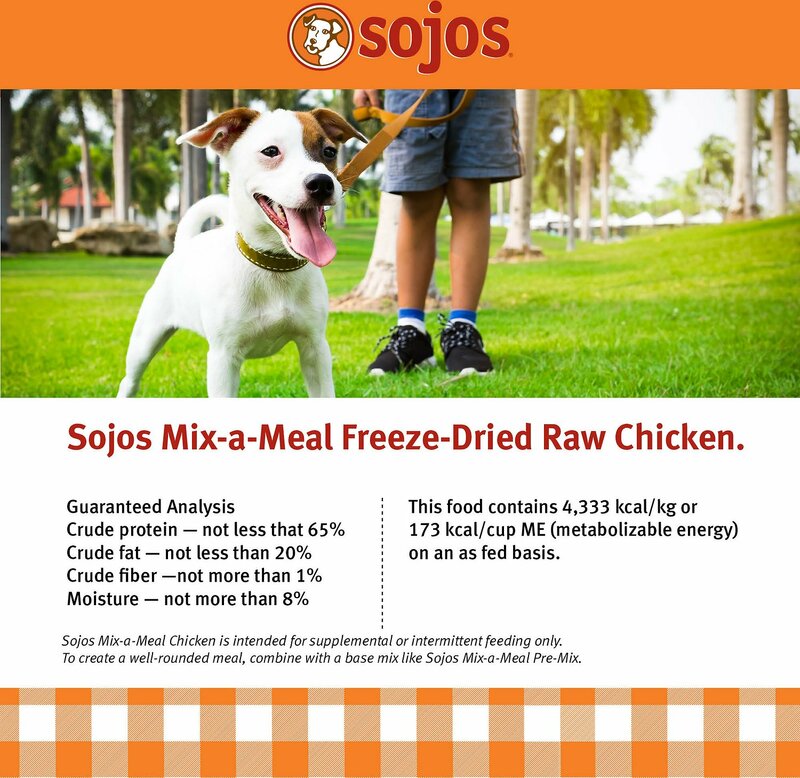 Ready-to-eat, healthy protein can be added to Sojos Original or Grain-Free Pre-Mix for a meal that's all your own. 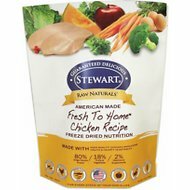 Freeze-dried raw meat is one part of a full, protein-rich meal your dog will love. No grains, gluten, fillers, artificial preservatives, colors or flavors—nothing but real, raw, protein-rich chicken. Formulated with globally sourced ingredients, but nothing from China. Made in Minnesota because your ideal meal is made in a kitchen you trust as much as your own. 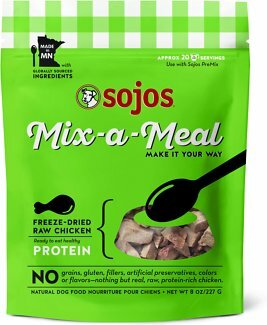 Sojos Mix-a-Meal Chicken is intended for supplemental or intermittent feeding only. 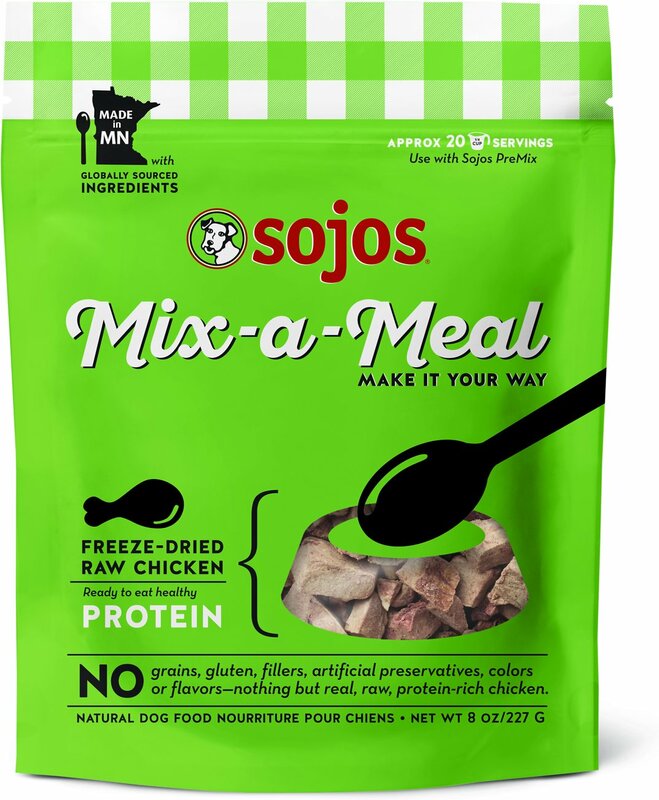 To create a well-rounded meal, combine with a base ingredient blend like Sojos Mix-a-Meal Pre-Mix. My dogs normally love all things Sojos, so we decided to try this. It seems like a great product overall, only gave 3 stars since my dogs all turned nose up. Will be donating to shelter.